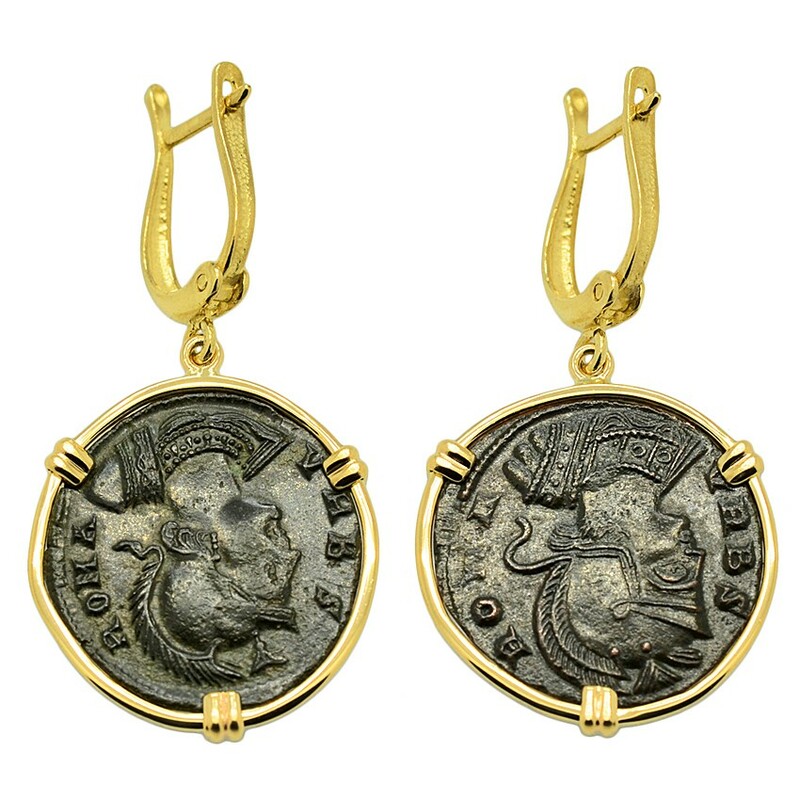 These ancient coins were minted during the reign of Constantine the Great, who became the Western Roman Emperor in 306 and ruler of the entire Roman Empire after defeating the Emperor Licinius in the east in 324. Son of Saint Helena, Constantine is known as the first Christian Roman Emperor and in 313, he announced toleration of Christianity in the Edict of Milan. Constantine also transformed the ancient Greek colony of Byzantium into a new Roman capital Constantinople. 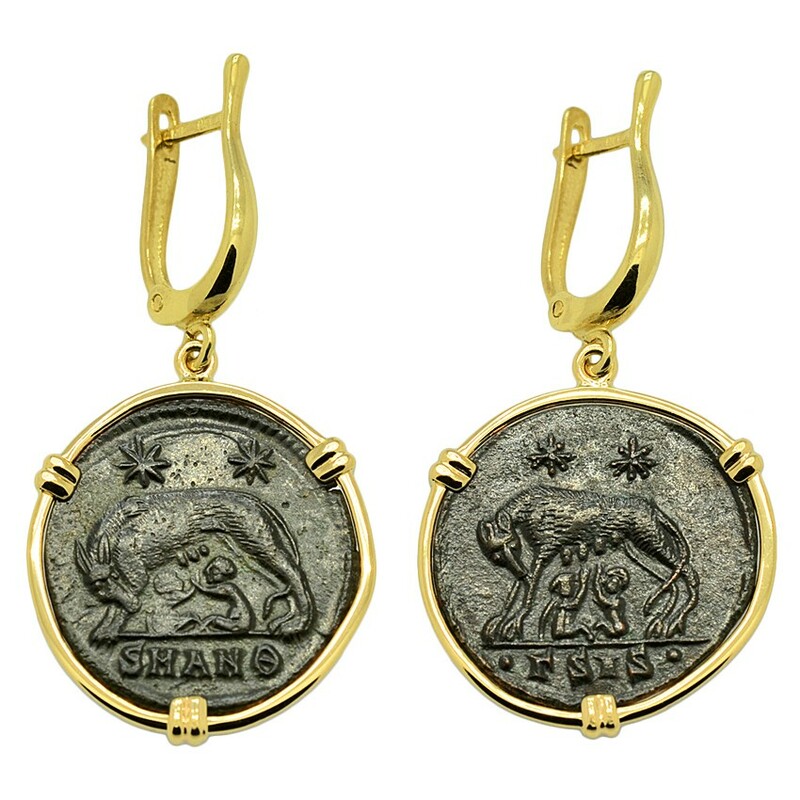 The coin shown left was minted in the eastern city of Antioch, which was a major center of early Christianity. 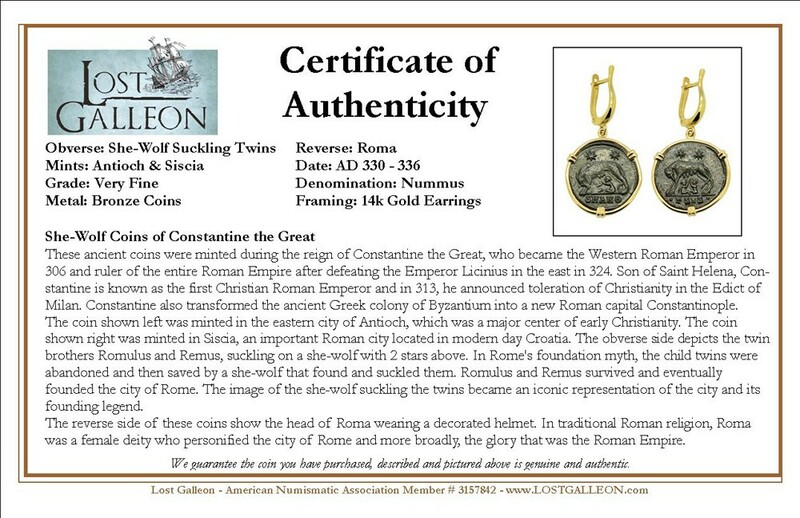 The coin shown right was minted in Siscia, an important Roman city located in modern day Croatia. 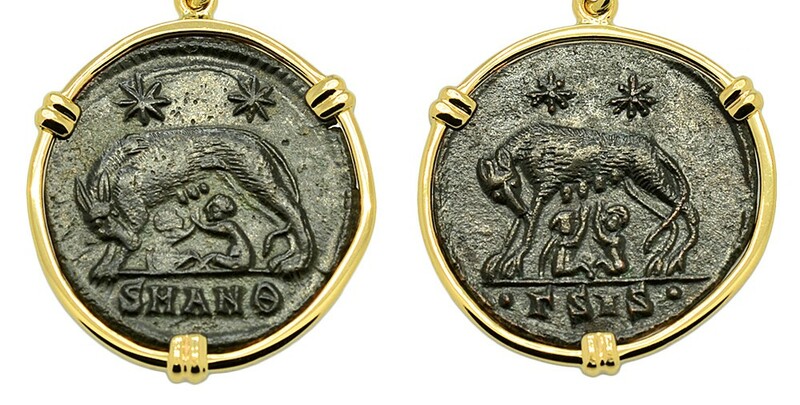 The obverse side depicts the twin brothers Romulus and Remus, suckling on a she-wolf with 2 stars above. In Rome's foundation myth, the child twins were abandoned and then saved by a she-wolf that found and suckled them. 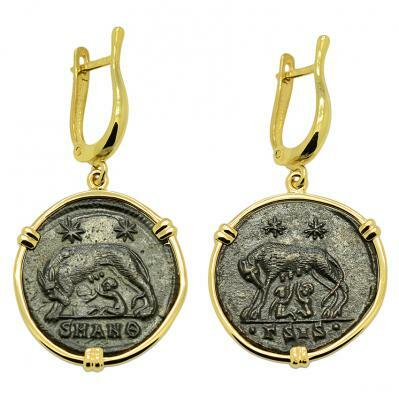 Romulus and Remus survived and eventually founded the city of Rome. The image of the she-wolf suckling the twins became an iconic representation of the city and its founding legend. 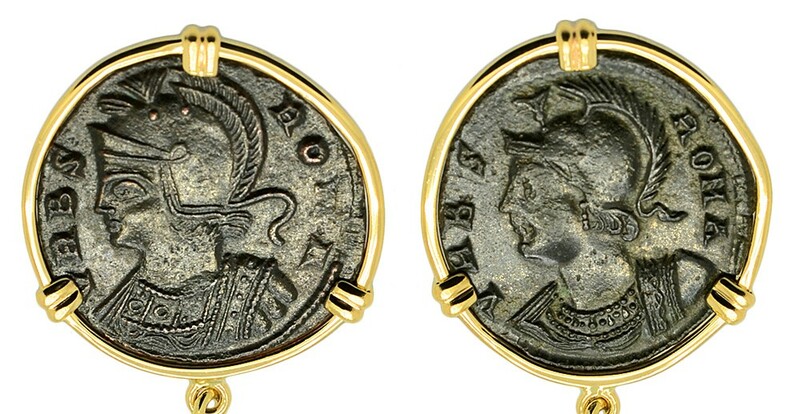 The reverse side of these coins show the head of Roma wearing a decorated helmet. In traditional Roman religion, Roma was a female deity who personified the city of Rome and more broadly, the glory that was the Roman Empire.